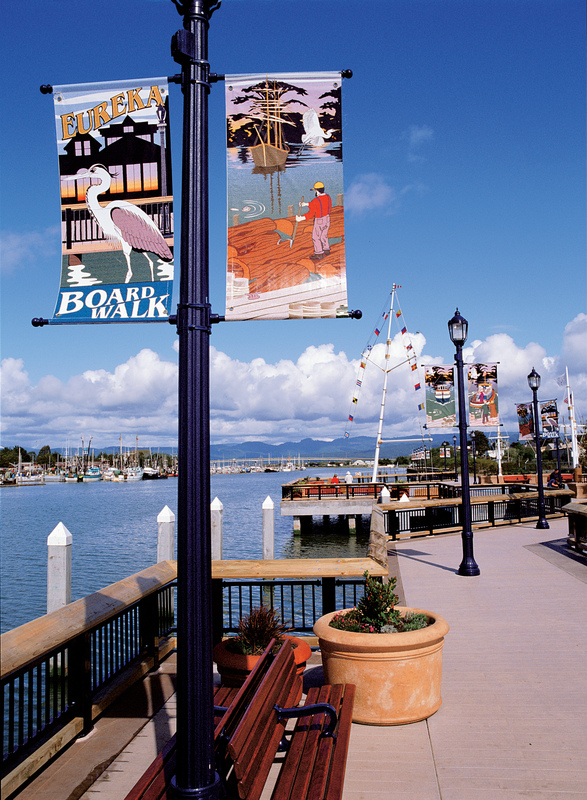 Discover the charms of our Humboldt Bay village. Stroll along the Boardwalk and explore historic Old Town, which is on the National Register of Historic Places. 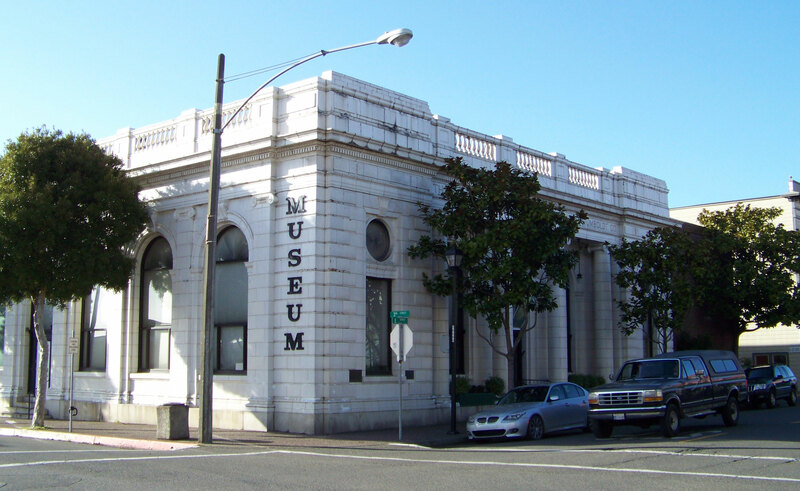 Learn the rich history of this area at the Clarke Historical Museum, the largest museum in Humboldt County. Take an exciting cruise on the Bay. 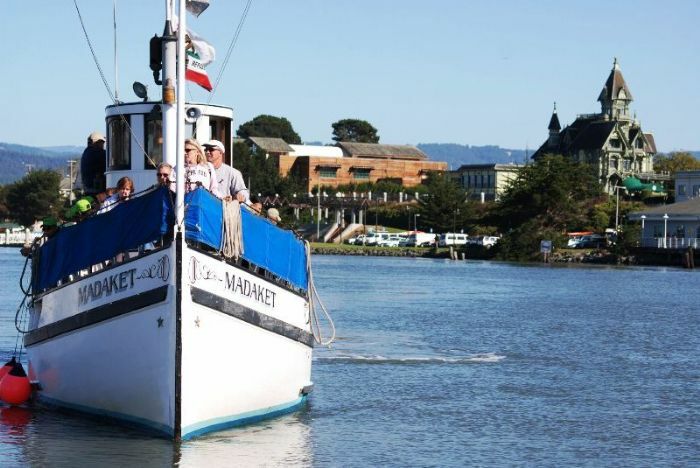 Best Western Plus Humboldt Bay Inn puts you near all these exciting attractions - including the water adventures of the Pacific Ocean, Humboldt Bay, and the six rivers flowing into the north coast. Spend a day kayaking, fishing, river rafting, or bird watching. All this and more fun things to do awaits you in Eureka and Humboldt County! Immerse yourself in the world’s tallest trees at this renowned Eureka, California attraction. Enjoy a scenic drive through the Avenue of the Giants to the Humboldt Redwoods State Park, located just 30 minutes away from Best Western Plus Humboldt Bay Inn. And just 45 minutes north of Eureka lies the Redwood National Park, where you can walk, bike, camp, or horseback ride amongst the towering trees. A stay at our hotel near Redwood National Park means comfortable, elegant lodgings close to all the wonders of the giant redwood trees! Interested in more suggestions for what to do in Eureka? Some northern California events that bring guests to our charming city include the Redwood Coast Music Festival held in the spring, the Redwood Acres Fair, the Kinetic Sculpture Race hosted by Humboldt County, and the Arcata Bay Oyster Festival. Don’t miss the Humboldt County Fair, where you can enjoy horse racing and participate in auctions yearly! And hosted in Eureka, check out the Arts Alive! county-wide event showcasing artists and performers held on the first Saturday of every month. Looking for a bit more inspiration? 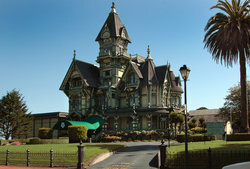 Browse our suggestions of top things to do in Eureka below and start planning your trip today. We look forward to welcoming you soon! 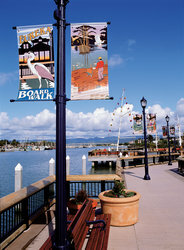 The Eureka Boardwalk is a lovely place for a stroll along the waterfront. Got your fishing pole with you? Public fishing is permitted. So is feeding the resident seagulls. During the summer, a fun and free weekly concert series takes place at the C Street Market Square. Listed on the National Register of Historic Places, Old Town Eureka is a portal into the past when there was gold in them there hills, and everyone wanted to shout, "Eureka! I've found it." Today, you can "mine" for treasure at antique shops and local boutiques. There's also an array of eclectic restaurants. Built by one of the great lumber barons of the 19th century, the William Carson Mansion is a sight to behold in Old Town Eureka. 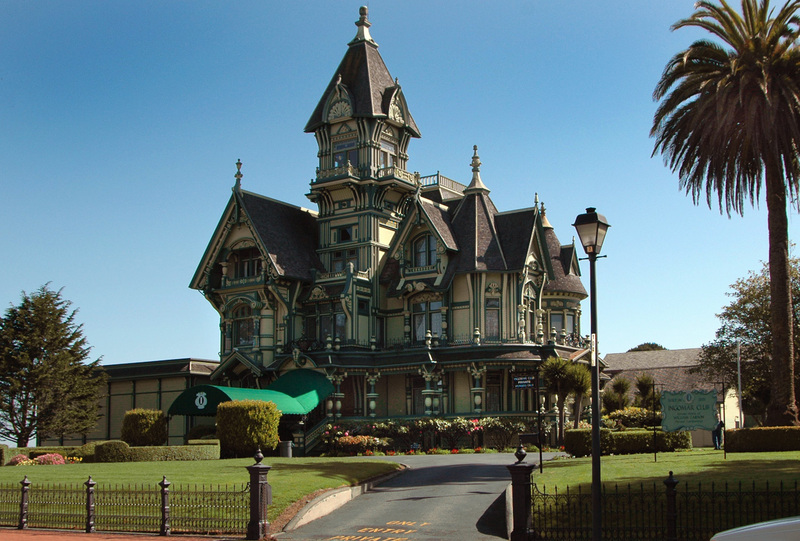 This classic example of Victorian architecture is one of the most photographed structures in the world. Visitors marvel at its ornate elegance. Come see it for yourself! The largest museum in Humboldt County holds impressive collections of Northwest Native American artifacts. These include baskets, tools, and jewelry. Learn all about the colorful history of the area. The museum is housed in the former Bank of Eureka building in historic Old Town. 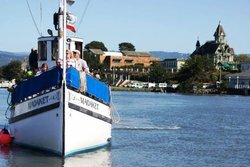 For a truly special experience, sign up for a cruise on Humboldt Bay. There are several types of tours from which to choose. The Cocktail Cruise is a lovely way to greet the evening. An Eco Cruise takes passengers out to see harbor seals and oyster beds. The Narrated Cruise touch on Eureka's fascinating history. Enjoy a scenic 31-mile drive along old Highway 101 and take in amazing views of giant redwoods.